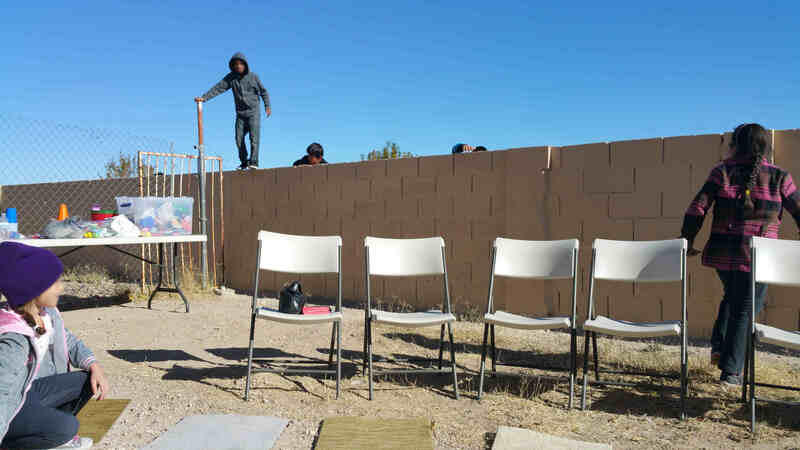 A Christmas Across America Party Club was to be held outside one of the poorest apartment complexes in North Las Vegas. The weather was bad and one leader begged for the club to be rescheduled. But the coordinator knew that rescheduling wasn’t an option; all they could do was pray. The cold wind bit at the leaders’ faces as they prayed and waited for children to show up. Before long the wind calmed and the sun began to shine! Children and adults slowly filtered in. A tall wire fence and a brick wall separated the club area from the rest of the apartment complex, but several children climbed over the wall. Thirty children heard the Gospel that day. The leaders reported that the children were “particularly attentive and serious about the Bible presentation, especially the cross.” Four of the children made professions of faith—two of whom had climbed over the wall!